This is the story of how I accidentally became the organizer of a snail mail pen pals program. Let me begin by saying that, I don’t actually have kids that participated. My kids are either out of the home or more interested in driving than writing letters (they don’t even email that much, texting all the way). But I love that I could help build opportunities for kids to reach out to others in this traditional and uniquely personal way. It’s totally analog to so snail mail pen pals but I love that kids want to. OK, here’s how this whole pen pal exchange began. My awesome friend, Michelle, at The Complete Savorist, casually asked on facebook about if people still did pen pals cause kids like the idea of getting mail. She immediately got takers on the idea. And this is when my, “I wanna be the cool kid with a good idea at the party” personality flaw kicked in (I have serious issues from 4th grade when it felt like no one liked me). I immediately went to a mom facebook group that I love of Christian women and asked. “How many moms here would want to start something like that for their kids?” And there were many responses to the affirmative. What is a pen pal relationship? 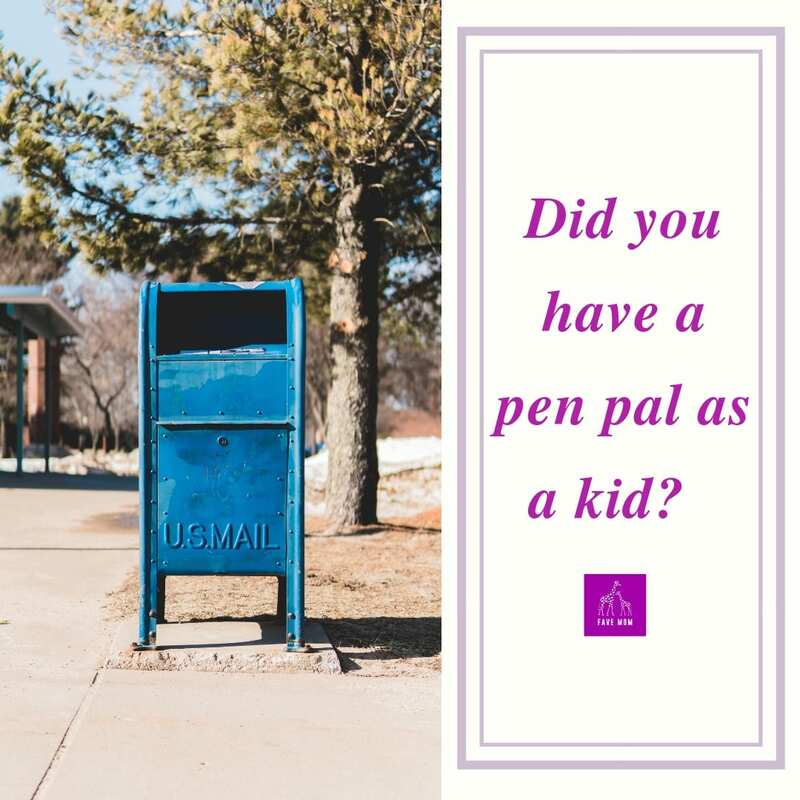 The moms that responded seemed to overwhelmingly say, “I loved having a pen pal when I was kid.” or “I would love for my kids to develop a pen pal relationship.” A few talked about wanting their kids to improve penmanship. I think while a pen pal is someone you write letters to, I think a pen pal relationship, at least a snail mail pen pal program, is an exercise in learning delayed gratification and the value of slow response. 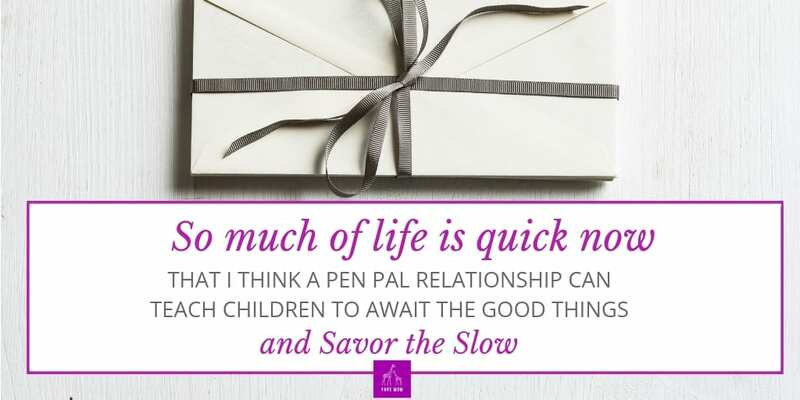 So much of life is quick now, that I think a pen pal relationship can teach children to await the good things and savor the slow. OK kids don’t really have as much trouble with this as probably adults, like me. But all the same it’s so beautiful to anticipate a letter. 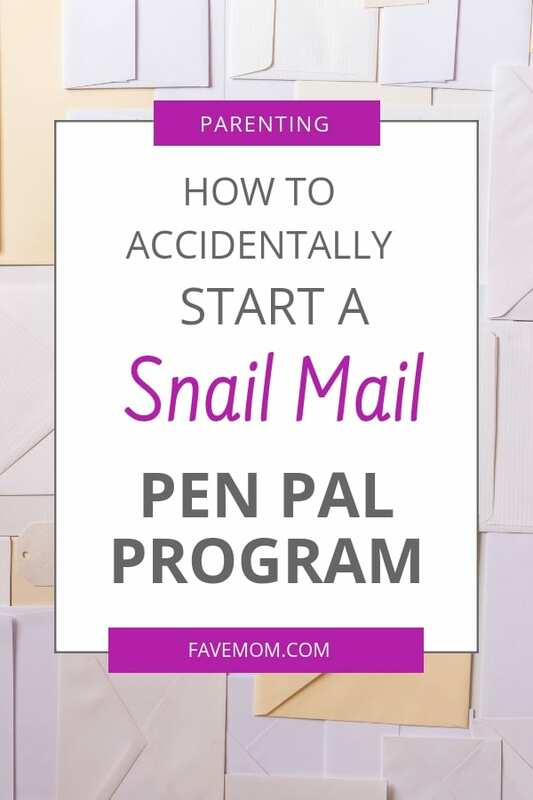 What’s a snail mail pen pal? I think there exists some program named “snail mail pen pal”. But the program I helped develop was specifically asking moms to involve their kids in a real letter pen pal program. This is different from a pen pal that you can email. Granted I organized this impromptu pen pal letter exchange by sending a google form and then emailed connections –cause that’s how I roll. But the goal was to give kids actual mail, in the mail box. Who can I write a letter to? So my friend’s initial request, that catalyst mine, was focused on the question of who can my child write. And how can it be safe? As a parent, these are natural concerns. And given how rare personal letters in the mail are, you can easily set up a personal snail mail pen pal with a distant cousin or a neighbor’s distant family member. I had a pen pal when I was a kid. Well, not one created via a pen pal program. Mine was my neighborhood friend Sarah that I moved away from in the 2nd grade. 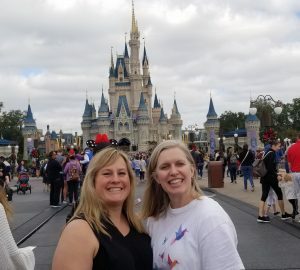 We started writing letters and when her handwriting suddenly improved in 4th grade I was jealous and kept writing hoping I’d get as awesome as her (I told you earlier group acceptance is an issue for me–see 2nd grade). 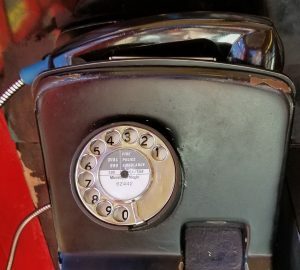 And since this was before the time of email we were totally snail mail, slow mail, real in the US Postal Service letters. I think kids move a great deal more than when I was a kid *cough*30 years ago*cough*. And social media makes it possible to keep contact with people you move away from. This change also presents a great opportunity to create your own home grown snail mail pen pal like I did. Incidentally, I lost track of Sarah for several years as we both became adults. Thanks to facebook we reconnected. I need to write her another letter (ok I will probably instagram message her, but I am a digital girl). 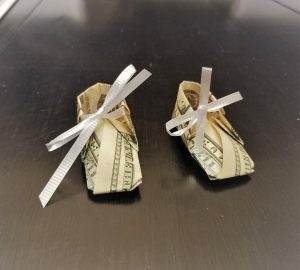 For the mom’s in my program, I had the advantage of they all belong to the same facebook group. I realize this isn’t an ideal vetting system, but I think it’s a pretty decent way to narrow the list. Also all the moms were so willing. So I recommend if you want to create a “meet someone new” program with a very willing group that is most helpful. What were the finally results of my pen pal program? Well I can’t say if the kids are still mailing each other letters. But I can tell you that I had about 50 participants and many grateful parents. But I like thinking about how there are probably still some of those kids writing or sending drawings to each other. And maybe some of them will still be writing 5 or more years later like my pen pal and I. And they may or may not realize the power of this snail mail pen pal program. BTW is it pen pal or penpal? It’s actually both. There is no standard that I could find, so I wrote it with a space, cause I like that. I wanted to say, “pen friend” through out this post, but then I felt like I was trying to be British. Which if you have read any of my posts about romance novels, you will know that’s my Regency Romance obsession coming through way too much.